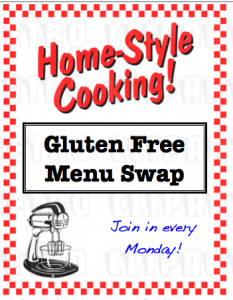 Carrie of Ginger Lemon Girl is the host of the Gluten Free Menu Swap this week. She has picked garden peas as the theme ingredient. Yum! My kiddos do love their peas! In fact, I plant extra around the edge of our garden so they can snack on peas straight off the vine while playing outside. Unfortunately, due to spring’s slow start in my area, my pea seedlings are only about 1/2″ tall so far… I can’t wait until they are bigger. Besides eating them straight off the vine, we love them in stir-fries and using them to scoop up hummus. How do you like your peas? Angela you amaze me! 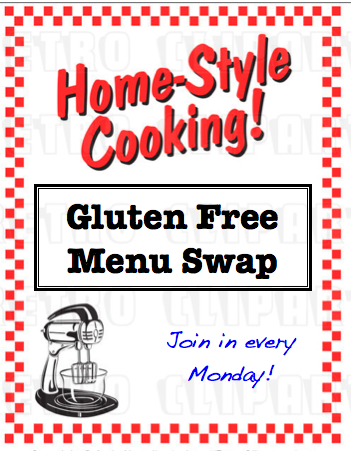 The menu sounds fantastic and your once a month cooking is just so impressive!! Sounds like you have a great week ahead of you!